Check out this amazing use for your old blue jeans! Arizona-based Bonded Logic offers UltraTouch™ Denim, a sustainable insulation material made almost entirely of natural denim and cotton fibers that are 100% recyclable, reducing landfill waste. The denim and cotton are also 90% post-consumer. 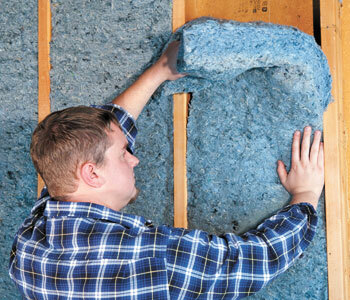 Installing it in your home or building could also earn you several LEED credits! This entry was posted on Saturday, May 7th, 2011 at 1:36 pm	and tagged with Bonded Logic, Canadian Tuxedo, Denim, LEED, UltraTouch™ Denim, US Green Building Council and posted in Good Causes. You can follow any responses to this entry through the RSS 2.0 feed.